Conducting the Life Cycle Assessment of Tomato production in England and Wales was a challenge. Many areas of horticulture are very heterogeneous and it is often hard to interpret the few national statistics in terms of definable representative production systems. •The production method used has great importance in defining the total level of GHG. •The most emitting inputs in the nurseries are plastics and peat. •“surface unit” was used as functional unit to compare different kind of nurseries. •The plants grown in a nursery can be considered as carbon sinks. •Other impact categories can be useful to evaluate the environmental impact of nurseries. This citation, welcome though it is will probably not count in my Web of Science or Scopus metrics because the ‘journal’ “Agricultural and Food Economics” may be too new. Agricultural and Food Economics (AFE) is an international peer-reviewed and open access journal published on behalf of the Italian Association of Agricultural Economics. AFE welcomes research articles from economists, scholars and researchers from all over the world to publish problem-oriented and high quality articles. AFE publishes only original articles from a wide variety of economic perspectives that address current and relevant issues related to the agricultural and food system. AFE publishes articles focused on applied analysis, the discussion of innovative results, and relevant policy and managerial implications. AFE seeks clearly written articles from experts in the field, to promote insightful understanding of the current trends in the agri-food system. Topics of specific interest to AFE include agricultural and food market analysis, agri-food firm management and marketing, organization of the agri-food chains, consumer behavior, food quality and safety issues, economics of nutrition and food security, food and health economics, agri-food policy and trade, sustainable rural development, natural and marine resource economics, land economics. All articles published by Agricultural and Food Economics are made freely and permanently accessible online immediately upon publication, without subscription charges or registration barriers. Further information about open access can be found here. This paper has been selected as a best paper of the 51th SIDEA Conference in Benevento (18-20 September 2014). It has been accepted for publication in this journal following the usual revision process. Over the 2000s’, consumers’ food purchases have been increasingly informed by supply chain-related issues, with growing concerns about the sustainability of chains differing for their geographical scope. As a result, short food supply chains and local food systems have risen to policymakers and food chain stakeholders’ attention as more sustainable alternatives to mainstream food networks. However, associating food chain’s geographical scope and sustainability performance may not be straightforward. This paper aims at shedding lights on the connection between geographical scope and sustainability by comparing and discussing 19 attributes owing to different sustainability dimensions. The analysis anchors on the wheat-to-bread chain, due to its global relevance. Bread is a worldwide staple food and wheat is (generally) a commodity traded globally. However, wheat processing often occurs locally and baking is influenced by local heritage and consumption patterns, particularly in the EU and in Italy, where gastronomy is culturally embedded. 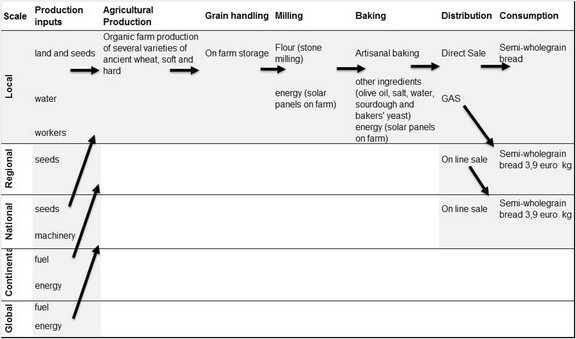 The paper identifies critical aspects and provides a qualitative assessment of the performances of local vs global wheat-to-bread chains. The assessment is carried out on Italian case studies. JEL: Q18 Agricultural Policy, Food Policy, Q10 General. This accepted yet to be published #paper cited the work that I help do on agricultural commodities in England and Wales. I really like how thoroughly the authors have modelled what is a global supply chain into European cereal products. 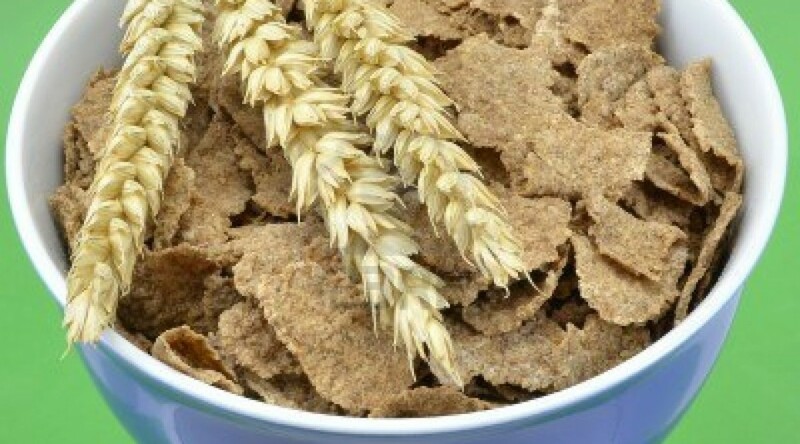 The Irish are very big breakfast cereal eaters (>8kg/ head/ year) and Italian’s the least (<1 kg/head/year). It does give good systematic insights and indicates leverage points for improvements. Rice paddy fields consume a lot of water, but most of it flows into the next paddy field -which is not a net consumption, unlike drainage and evapo-transpiration losses. I am never sure that is is properly considered in many estimates of water use in agriculture. When is a waste a by product? When you can find someone who will buy it! In Life Cycle Assessment (LCA) that transition means that you go from waste disposal burdens charged to the primary product to an allocation of the primary product’s burdens onto the by-product. A green circular economy means we should be doing more of this and I don’t think that should make a difference to the burdens of the primary product and certainly not mask the independent potential for improvement in the primary product. The assumptions behind allocation decisions such as this are known to dramatically alter LCA results. The biggest environmental impact of agriculture is the decision to farm. Another interesting area was the conclusion that a big burden hotspot of cereal manufacture is the agricultural phase. It does create big burdens. However, agriculture’s case is not helped by food waste down stream in storage, transport, procession, retail, storage, consumption. Accidents do happen and all those little percentages lost soon back multiply to expand the size of the agricultural industry to deliver a set amount of nutrition to a consumer. I’ve never been happy with the way that that shifts, in conventional LCA, the hotspots in the direction of the primary industries whilst partly masking those that wasted it. A final remark is that the authours compare a kg of cereal a dispatched from the manufacturer with a kg of cereal consumed with milk in a bowl that has to be washed up. To be fair they are honest that that does not give the consumer two identical nutritional experiences and thus is not a like for like comparison. However, due to the heavy burdens of milk production a superficially comparative evaluation lures the reader into the impression that processing is quite well run, but it is a shame about the farmers (point above) and the consumers! One little additional thought with their improvement scenarios would have been to have tried Monte-Carlo simulation across the ranges of feasible improvement. It would have given an idea of what combinations of improvements lead to significant change and how significant that would be on average. This would help justify and prioritize investments in improvements. My little quibble is that ‘corn’ is ambiguous each side of the Atlantic and explicitly stating maize or #wheat is better.